Every woman dreams of a lush and shiny hair, however, some of them are lucky to get that hair look. Jojoba oil, coconut, castor and olive oil will help to restore the hair and stimulate its growth. Jojoba oil has a wide range of activities in problems with the skin of head and hair. Jojoba oil is very similar to the fats contained in the port of skin and acts as a natural lubricate, which provides a protective lipid layer, which protects the skin from microbial attack and impurities. Jojoba oil is well proven as hair conditioner and works well for dry and brittle hair. It is necessary to massaged jojoba oil into the thread that you leave at least half an hour to operate. Jojoba oil is easily rinsed with shampoo, so it does not remain a greasy residue on the hair. The oil from coconut is one of the best oils for the hair problem. This oil provides the necessary proteins that are essential for the restoration of damaged cells. Massage coconut oil in the threads, and then you will see that the hair become soft, shiny, and alive again and there will be no dandruff. Coconut oil acts as a conditioner and helps in combing hair that is easy to tangle after washing. Castor oil is the oil to prevent hair loss. This oil has a strong antibacterial and antifungal properties, helps to maintain skin moisture, which prevents rapid withering of the hair follicle. 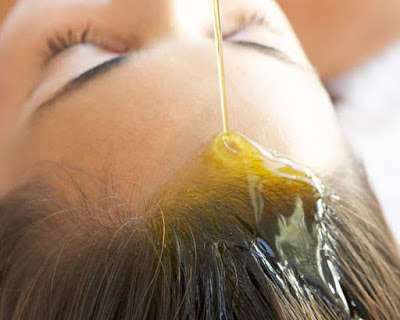 It is necessary before rubbing castor oil in your scalp, to warm the hair and scalp, then apply oil and wrap hair in a towel and leave the oil to work for a few hours. Repeat the procedure once a week for two months and you will see results.